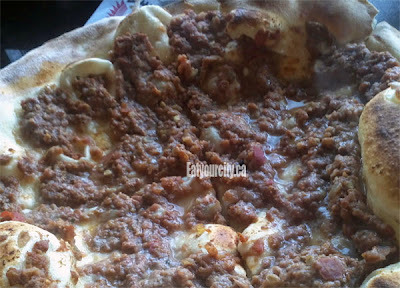 Eat Your City: Sunbake Pita Bakery Edmonton, AB - Still the best Lebanese fatayers, meat and cheese pies in Edmonton! 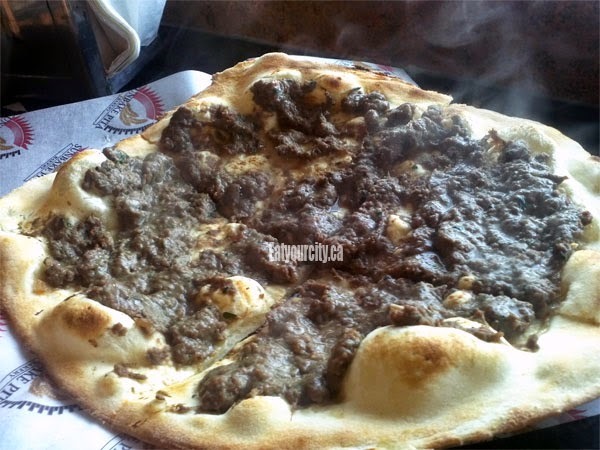 Sunbake Pita Bakery Edmonton, AB - Still the best Lebanese fatayers, meat and cheese pies in Edmonton! Still my favourite place in the city for traditional meat pies. I'll admit, I've wandered and the flavors and pies at other places just don't cut it. 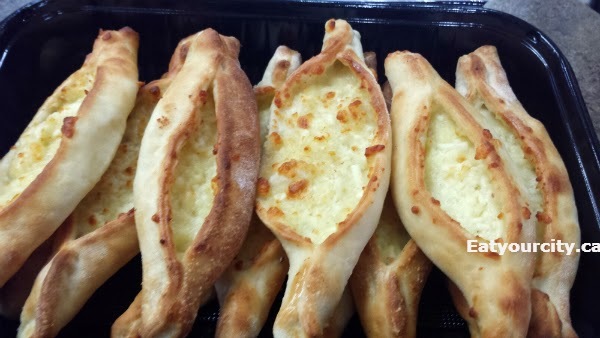 When it comes to traditional Lebanese pies... Sunbake pita is the bakery to go to! 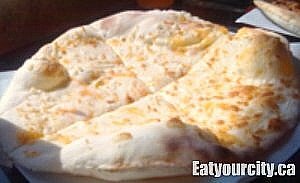 This by far is the simpliest pies with just a mix of shredded mozzerella and cheddar on a pita they stretch and bake to crispy soft ooey gooey cheese perfection. If you love salt or have a salty cheese craving, give the Ekawi cheese pie a whirl. 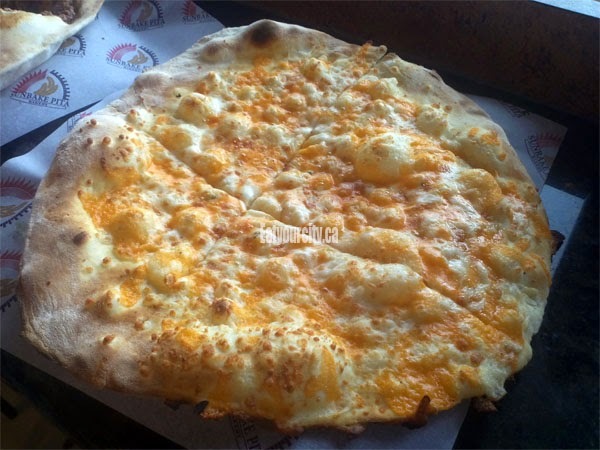 Its with a traditional pale cheese that is super salty, twisted to resemble rope, soaked in water prior to being used in cooking... and its a super salty goodness. 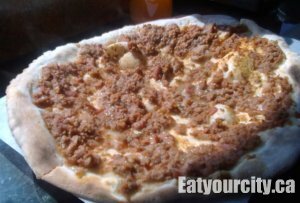 Time and time again, we return for the ground Halal beef, seasoned with secret spices and has a gentle sweetness from tomatoes. Baked until the beef-tomato mixture is a juicy tender - we love it paired with a cheese pie. Savory seasoned meat + molten cheese = no brainer. Nom!! This hits the spot when I'm craving tangy savory. 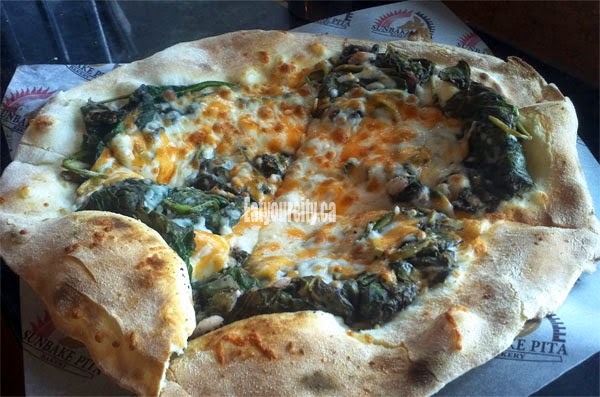 Fresh spinach, lots of cheese and a touch of summac (a reddish-purple spice that gives this pie a characteristic tanginess). Mmmm! These little pockets of goodness are awesome as a snack, or serve as a meal if you snack on enough of them... heehee! There's several varieties, and you can buy them by the half dozen (if you ask nicely) or full dozen. I love the Cheese fatayers for thier delicious simplicity. 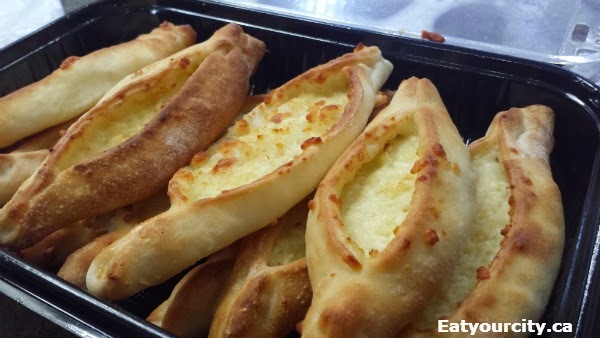 Soft folds of dough are wrapped around cheese and toasted sesame seeds cover the fatayer. I usually eat right away while they're still hot or pop them in the microwave for 30-45seconds so they're nice and warm. (I always eat them all before remembering to take a picture.. oops! My boyfriend's favourite is the Meat Fatayers. 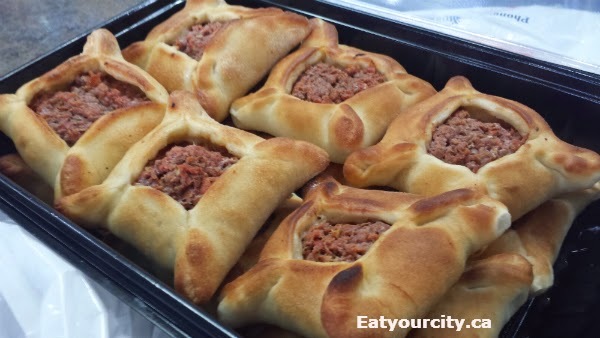 Its like a mini version of the meat pies - with the same meat-tomato mixture in the middle and the dough barely keeping the tastiness in. The Akkawi cheese fatayers are my current favorite - a soft white brined cheese with a mild salty flavor... similar to a young mozzarella with a bit more salt... man, I could eat these all day! Go get them while they're hot!! Eat Real YYC 2013 Food Truck fun!